A new teaser campaign has appeared for a flash-related product codenamed "spacefish", saying "this changes everything". A new teaser campaign has popped up for a product promising to “change the way flash guns work”, reportedly coming in summer 2013. Few details have been given on the product, only that it is codenamed “spacefish” from the brand name “Hink.” and said to create a “new horizon for image-makers”. The tag-line is “this changes everything”. Contacted for a comment, the company told Lighting Rumours: “All we can say it is will change the way we use flash in our images…FOREVER. 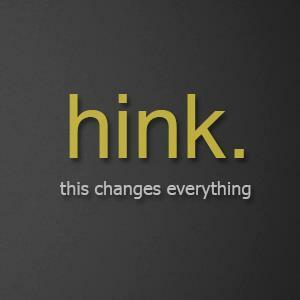 To follow the campaign, there is a Facebook page called Hink. and a Twitter handle @hinkpro.